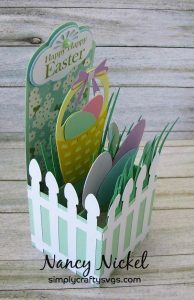 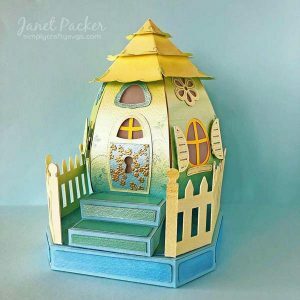 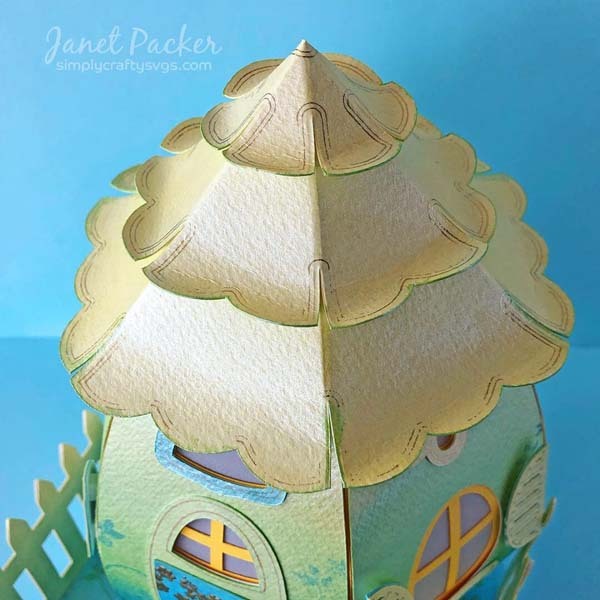 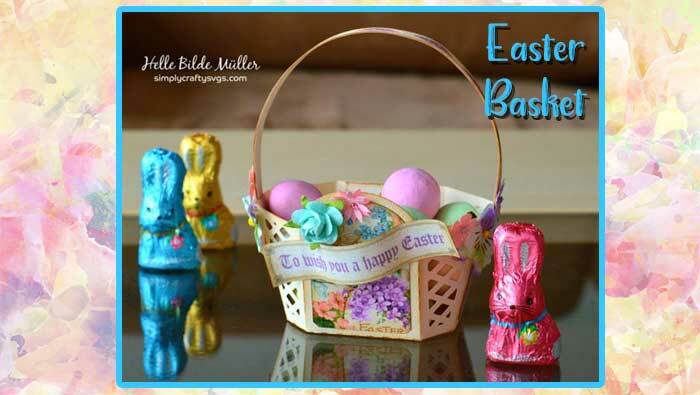 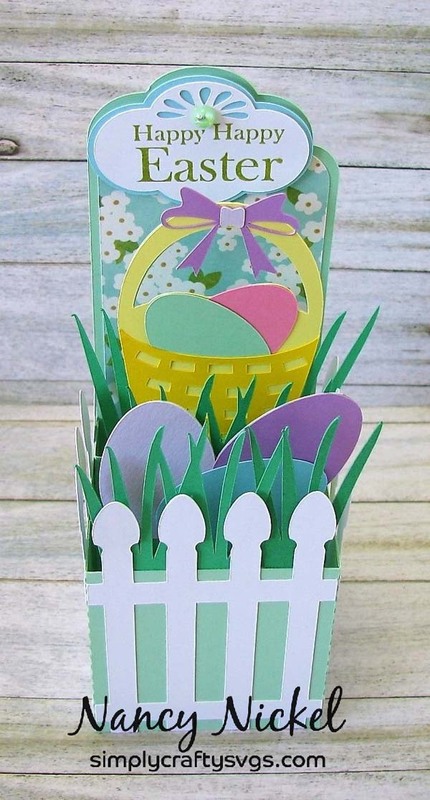 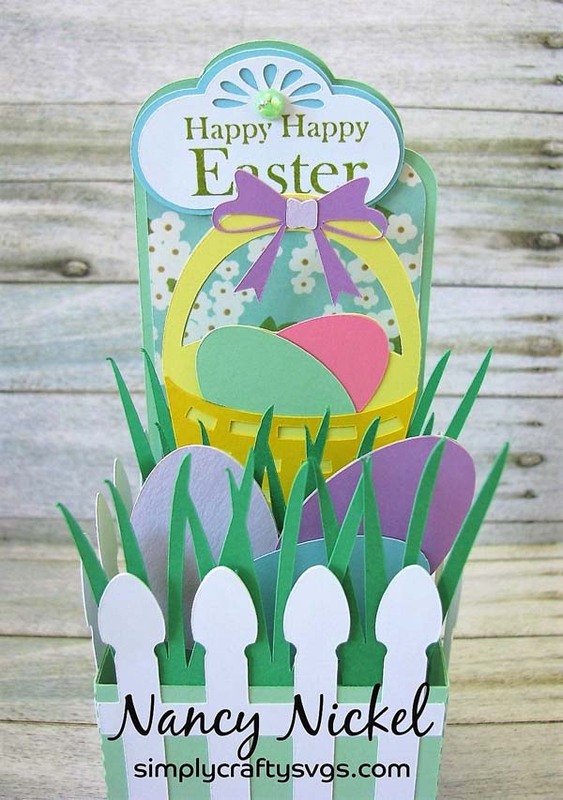 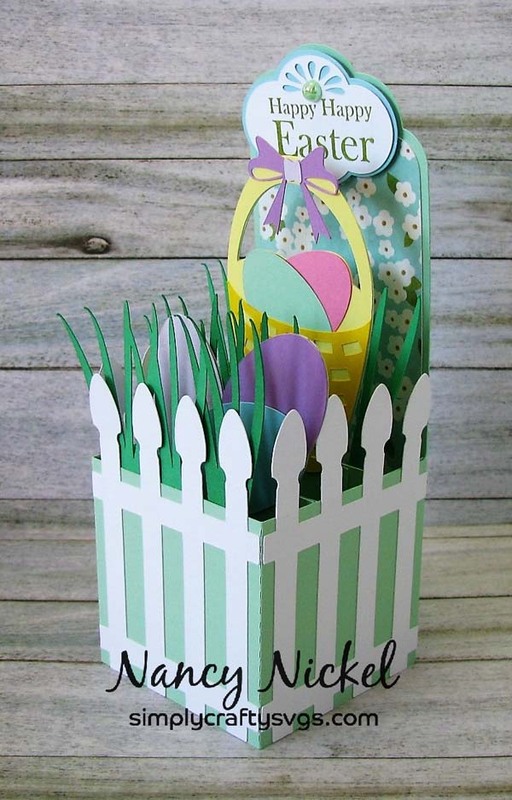 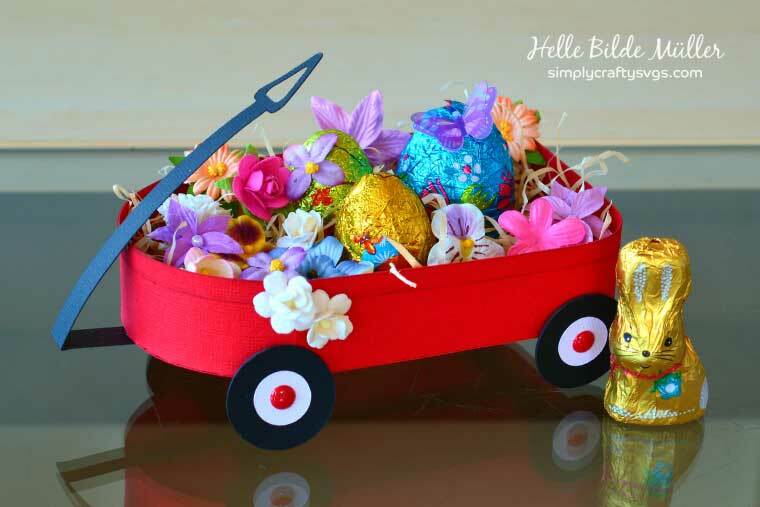 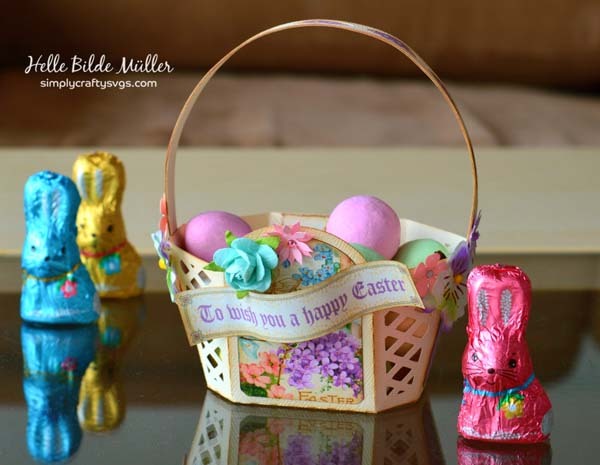 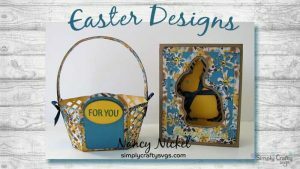 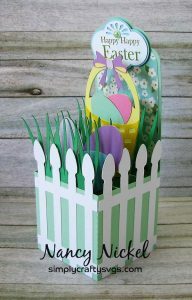 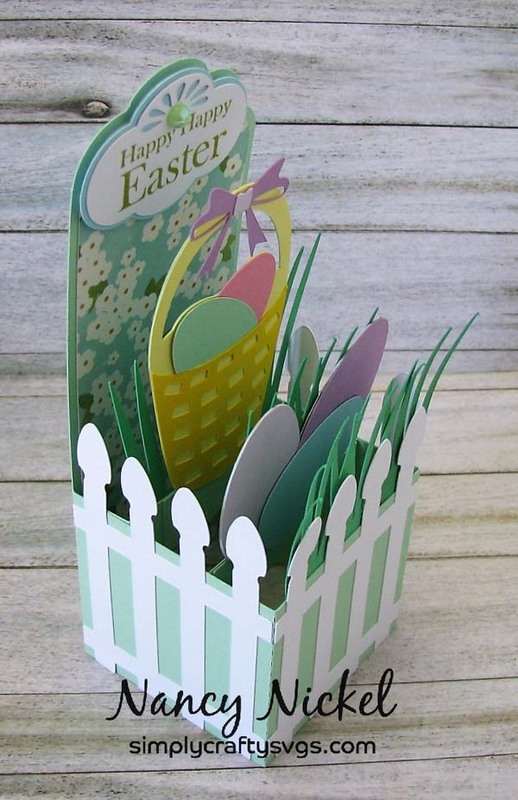 Nancy designed two Easter projects for us this month, the Easter Basket and Chocolate Bunny Box Card! 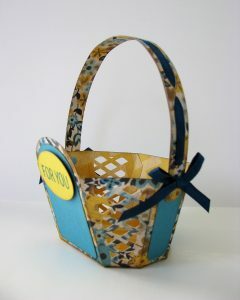 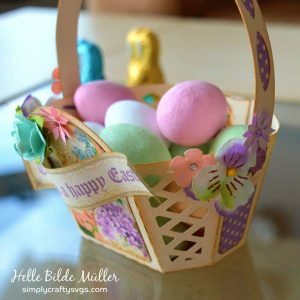 With the Easter basket, she used a double-sided cardstock so the basket looked great from inside and out. 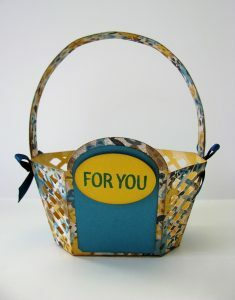 I love the woven ribbon through the handle and some of the other personal touches! 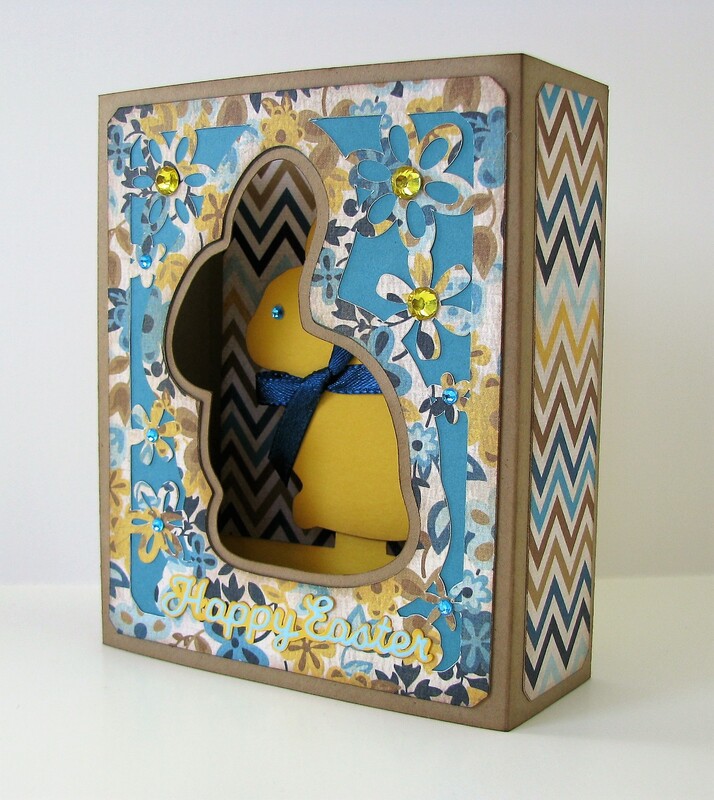 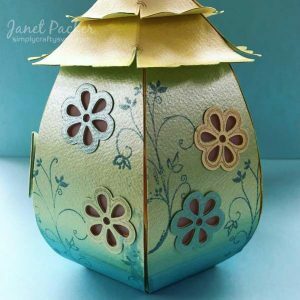 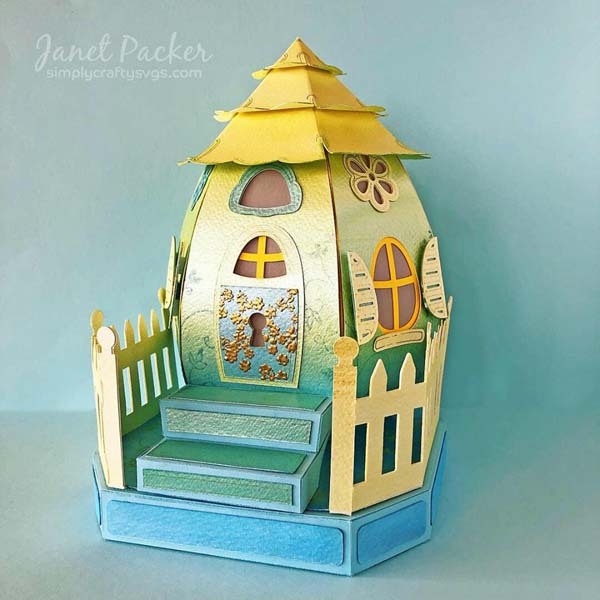 She used the same paper pattern for the matching Chocolate Bunny Box card, adding a rhinestone eye & real ribbon to the bunny, which gave it so much more dimension. 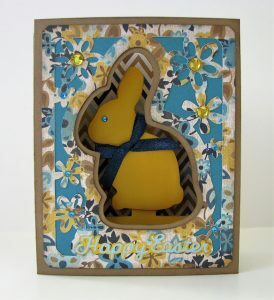 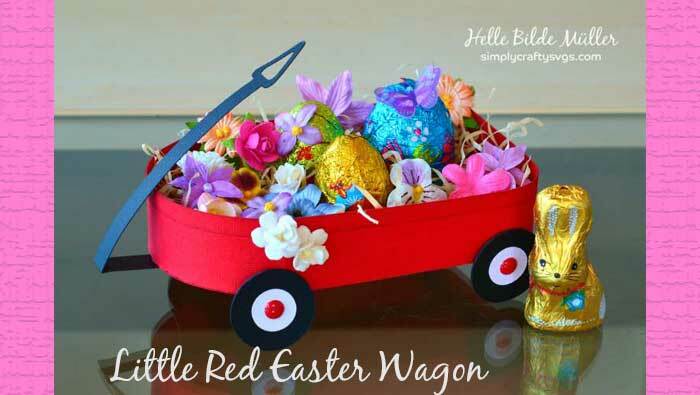 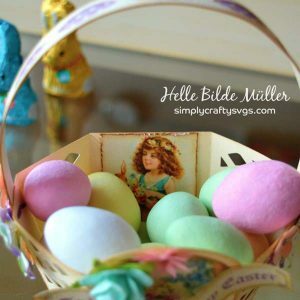 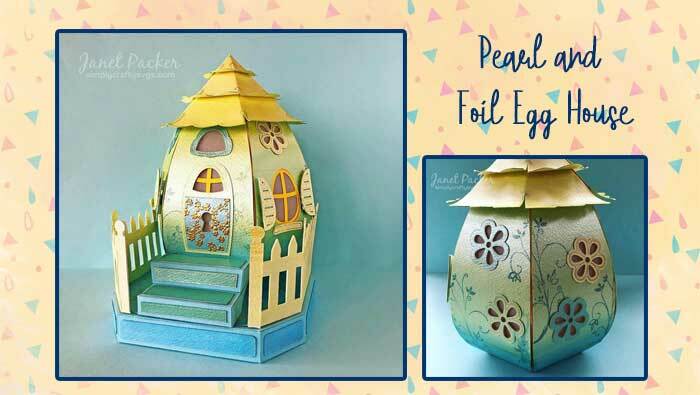 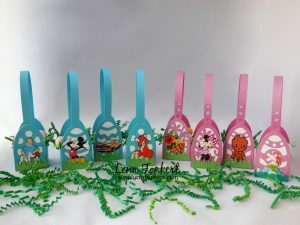 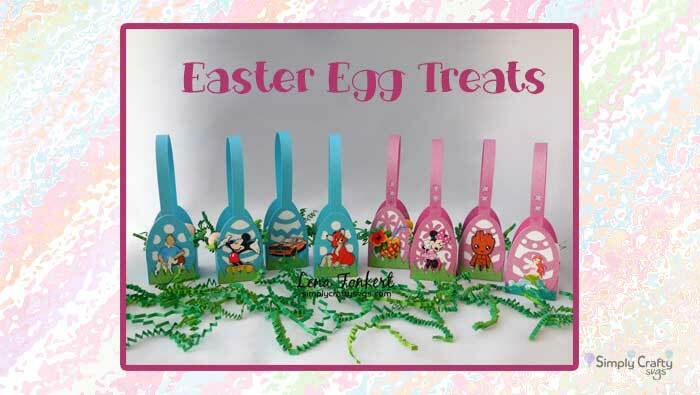 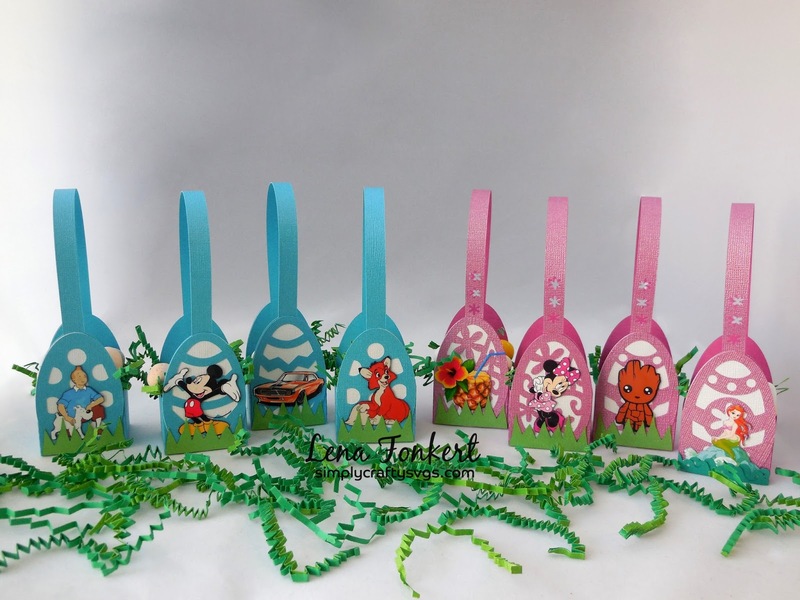 Click here to visit her blog post on these fun Easter designs. 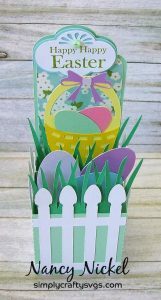 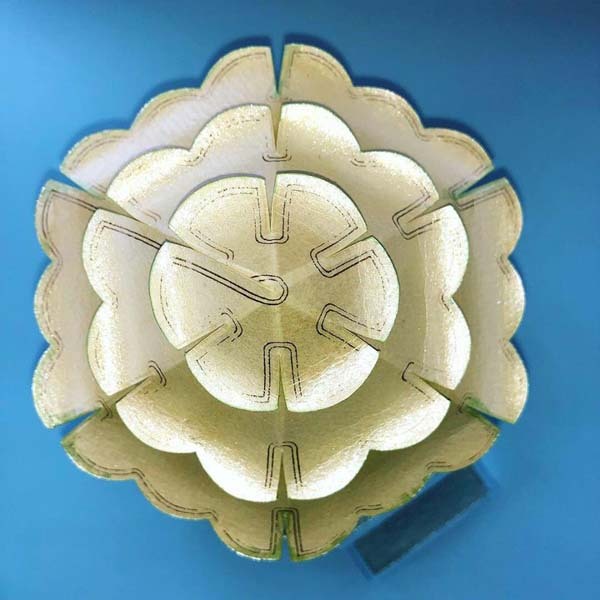 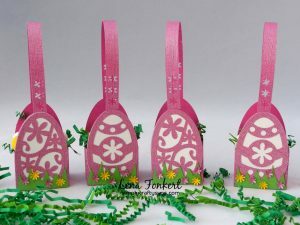 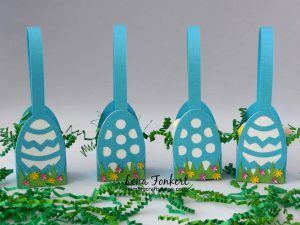 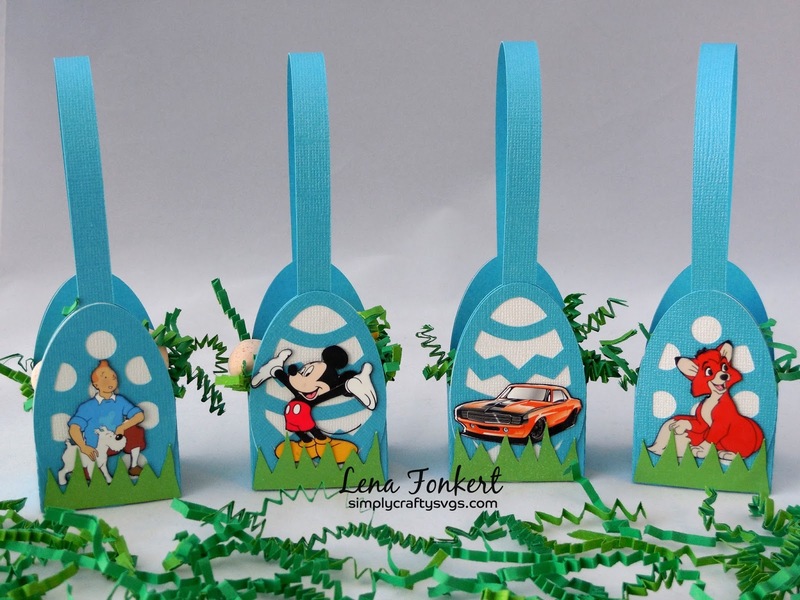 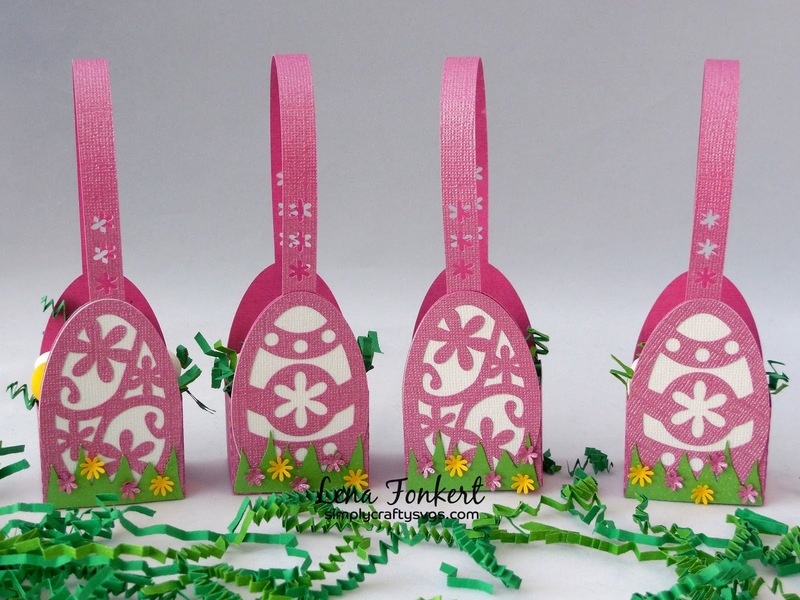 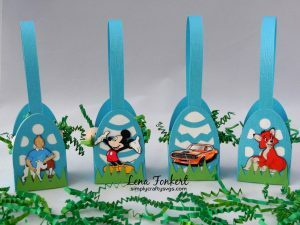 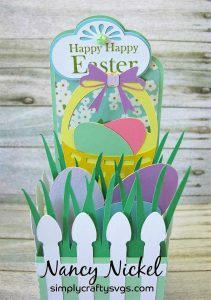 Lena from Lena’s Creations Blog designed this set of Easter egg “place boxes” for her Easter dinner using the Easter Egg Treat Box SVG file. 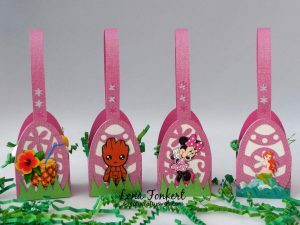 She even personalized each and every box with a character, different for each guest. 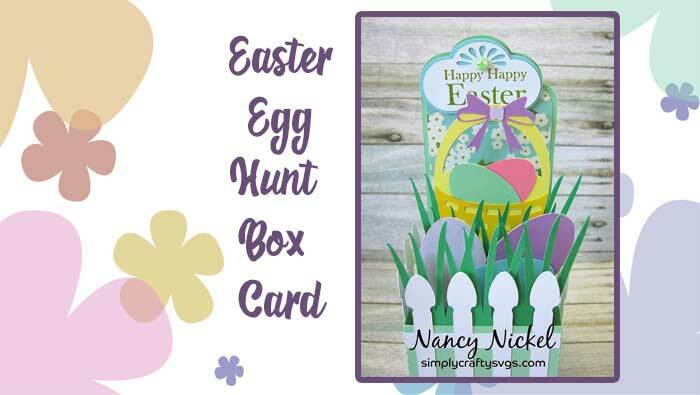 Click here to visit her blog for additional details!